(1936-2012) Margaret Mahy was born in Whakatane, New Zealand and was inspired to write at a very young age by the adventure stories her father would tell her. She wrote speculative fiction for children and teens. I first read The Haunting when I was about ten or eleven years old, and now — almost twenty years later — I was stunned by how much I remembered it. Usually good books leave an imprint of enjoyment on your memory, but such is the potency of Margaret Mahy's writing that I recalled almost every beat of her story. At the same time, there were parts of The Haunting that I could appreciate much more as an adult than as a child. 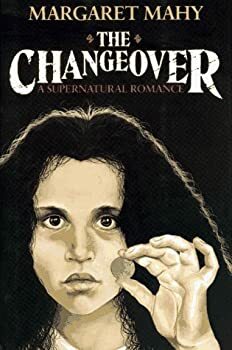 Margaret Mahy was one of New Zealand's most seminal writers, and one of only a few authors to twice-win the Carnegie Medal — first for The Haunting and then for The Changeover. 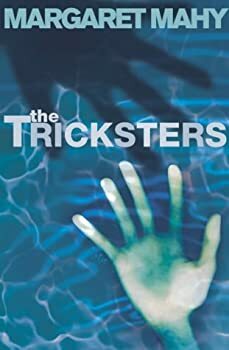 As good as these books are, my personal favourite is The Tricksters, written for a slightly older audience and filled with her trademark New Zealand scenery, supernatural occurrences, family dramas and the awakening of a young person to adulthood. 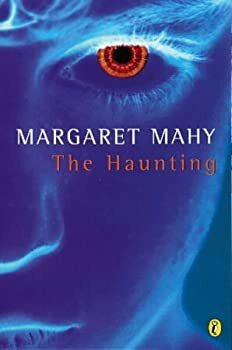 Older readers shouldn't be put off by the claims that this is a "young adult" novel, as any intelligent reader over the age of thirteen will enjoy what is perhaps Mahy's best work. You always know you're in for a magical, whimsical treat when reading something by Margaret Mahy, one of New Zealand's most best-loved children's authors. 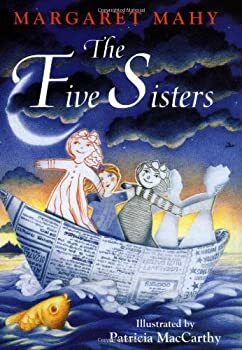 The Five Sisters (1997) is no exception, recounting the marvellous adventures of five paper dolls with linked hands. On a hot summer day Sally entreats her Nana for a story, but instead watches as she folds a piece of paper and draws a doll with a crooked smile and strong running shoes called Alpha. But before the rest of the sisters can be coloured in, a kingfisher swoops down and snatches them up while Sally and her Nana are fetching lemonade. Early in the 22nd century, the world underwent a vast and radical change, in which the tectonic plates of the Earth shifted and a series of devastating earthquakes changed the face of the planet. As a result of these events — now known as the Great Chaos — the population has severely dropped and most technology has been lost. What remains is a dangerous wilderness where communities are isolated and bandits roam the unmapped highways. Yet out of the ashes of the old world comes Solis, the shining city. 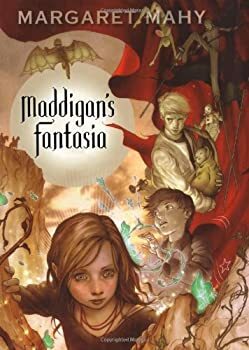 It is here that the circus troupe known as Maddigan's Fantasia spends each winter before heading out every year to explore new lands, collect lost knowledge and spread some colour and joy to those living in a post-apocalyptic world. Margaret Mahy was one of New Zealand’s most beloved writers, the author of forty novels, over one hundred picture books, and a twice-winner of the Carnegie Medal. She passed away in 2012, and I’ll admit that I got a little tearful when I heard that there was still one last story of hers to be published posthumously. 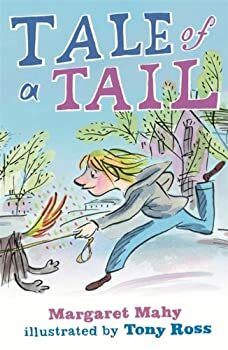 As a final coda to Mahy’s prolific writing career, Tale of a Tail is a funny, magical little story about a boy called Tom who lives with his mother on Prodigy Street. Everything is ordinary enough until another Tom moves into the house at the end of the road. Tomasz Mirabilis is a strange-looking man with an even more extraordinary dog called Najki. Whenever Tom offers to take Najki out for a walk he finds that he has to be careful not to make any careless wishes, for with a wag of his tale, Najki has the habit of making them come true! Dangerous Spaces — (1991) Ages 10 and up. Publisher: Flora has always known that her house is haunted. But things have taken a sinister turn since her orphaned cousin Anthea moved in. Frightening scenes are played out in the night — and in the girls’ dreams. Although they don’t get along, the two must work together to escape their nightmares — before they get trapped forever. The Other Side of Silence — (1995) Ages 10 and up. Publisher: In her brilliant but argumentative family, Hero is different, because she doesn’t speak. Instead, she prefers the silence and solitude she finds climbing the trees high above her neighbors stately old house. But everything changes when Hero starts to do odd jobs for the neighbor — and discovers a shocking secret high up in the tower of the house. The Horribly Haunted School — (1997) Ages 9-12. Publisher: Monty is allergic to ghosts-if there’s one around, he sneezes. That’s how he discovers a ghost-girl called Lulu haunting an old vintage car at the bottom of the garden. Mrs Merryandrew is worried about her son and sends him off to the Brinsley Codd School for Sensible Thought, to get all the ideas of ghosts out of his mind. But the school is haunted too, by the most sensible person in history. Monty has to solve many problems before he can return home..
A Villain’s Night Out — (1999) Ages 9-12. Publisher: In Quidy Moot, Formby has dreamt up the perfect villain for the book he plans to write. But Squidy immediately appears as large as life — and he has his own ideas for the story. What will happen if Formby invents the other characters? Will they try and take over the book as well? The Riddle of the Frozen Phantom — (2001) Ages 9-12. Publisher: Sophie Sapwood, daughter of the famous explorer, Bonniface Sapwood, discovers a whalebone pendant hidden at the back of her chest of drawers. At the same time, deep in the frozen wastes of the Antarctic, the ghost of Captain Cathcardo awakens from an ancient sleep, trapped in the Antarctic on his ship, The Riddle. His three cries for “Help” travel through the stratosphere to three different sets of ears — famous explorer Bonniface Sapwood, renowned naturalist Corona Wottley and oily villain Rancid Swarthy — descendant of Escher Black who was first mate on the Riddle. All three parties immediately organise trips to the Antarctic — all with the same goal in mind (solving the mystery of the Riddle) but each with very different intentions. The Magician of Hoad — (2008) Young adult. Publisher: A hero, an ageing magician, a farm boy, a noble daughter and a mad prince meet on the edge of a city of tents. So begins an intricate tale of a boy with a troublesome eye, who is capable of extraordinary things. Forced from home, twelve-year-old Heriot’s unwilling steps lead to Diamond, first city of the Hoadara, who conquered his people generations before. By tradition, King and Hero share power in an uneasy alliance …and the resolution of their struggle will ultimately bring pain, terror, love and loss to the five who met that dusty day. Forced to serve the King as his magician, and strangely bound to Dysart, the mad prince, Heriot is isolated within the walls of Diamond, until he finds Cayley, a wild, ambiguous rat-of-the-city. Two lonely souls forge an unlikely friendship in the shadows of the city both are forced to call home. But when children become adults, childish games become deadly serious and when incipient madness erupts in chillingly violence Heriot is forced to explore the very heart of his magic. In this superbly cerebral fantasy for older readers, Margaret Mahy’s masterwork will surprise and thrill with its exploration of darkness, and delight with her undisputed mastery of the language of the heart and soul. Portable Ghosts — (2009) Ages 9-12. Publisher: Ditta is a smart sassy 12-year-old who wants to be a detective — and when she encounters a ghostly boy reading in a mysterious corner of her school library she has her first mystery to solve. But when her best friend Max tells her the bedroom floor in his brand new house is haunted too, the mysteries start coming thick and fast and before she knows it she has a whole handful to solve. With her nerdy computer-geek sister Mirabel, the three friends find that ghosts are much more adaptable than they ever thought possible and Ditta finds not one but two ways of making them portable. The relationship that develops between the children and the garrulous old man who sits in the park every day with his laptop is delightful, and adds a thoughtful dimension to the story which teachers will be able to use creatively to explore a number of interesting social issues. A wonderful, funny, quirky supernatural adventure for younger readers, Portable Ghosts is the perfect introduction to Mahy chapter books for nine-ten year olds and is full of her trademark wit and whimsy. Heriot — (2009) Ages 9-12. Publisher: Heriot is forced to serve as the King’s magician in the capital city of Diamond. Isolated and lonely, his only friends are the ‘mad prince’ Dysart and Cayley, a mysterious wild city child. But their friendship is about to be tested to the limit when chilling violence and ambition threatens to crush Diamond and its King.